The Ig Nobel Prizes are comedic awards that love to award scientific nonsense and unusual research. The group awards research that makes you “laugh, and then think.” So, of course, Volkswagen’s workaround for its dirty diesel engines won an Ig Nobel this year. Goodness knows, they’re still thinking of a solution. On Thursday, Volkswagen was awarded the Ig Nobel Prize in Chemistry for “for solving the problem of excessive automobile pollution emissions by automatically, electromechanically producing fewer emissions whenever the cars are being tested,” according to a statement by Ig Nobel officials. On the surface, all the celebrated research sounds a bit daft, but a lot of it - when examined closely - is actually intended to tackle real-world problems. And nearly all of the science gets published in peer-reviewed, scholarly journals. Fortunately for those other award recipients, they don’t share Volkswagen’s multi-billion dollar bills for their work. 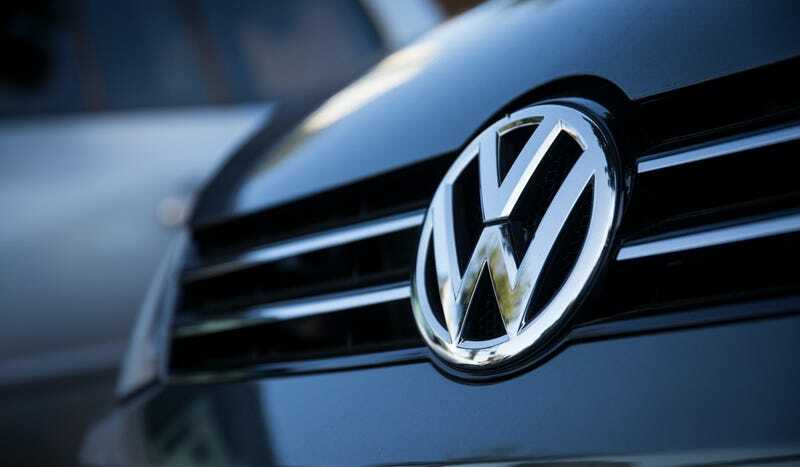 In addition to settling with the U.S. Department of Justice for $14.7 billion, Volkswagen was just sued for $9 billion by its own shareholders. Think of the solutions they'll come up with next!